Penn State has filed an application with the U.S. Patent and Trademark Office for a trademark of "Happy Valley." The application, which was filed on Dec. 4 and first reported Wednesday by the Centre Daily Times, is for use on headwear, shirts and sweatshirts, according to the USPTO trademark database. Penn State spokeswoman Rachel Pell said in an email that the university initiated the filing for a trademark for officially-licensed merchandise after another entity which previously registered "Happy Valley" chose not to renew it. "There is now an opportunity to not only continue using the term appropriately, but also to protect against possible improper use of the federal registration of Happy Valley by a third party – for example, not allowing a vendor to tie the term with the promotion of excessive drinking," Pell said. 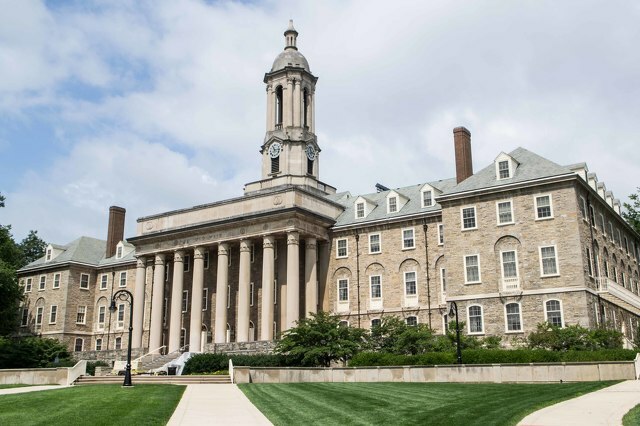 "Penn State recognizes the importance of this term to the community, and is committed to working with local government and business leaders. We will be meeting with local stakeholders in the coming months." "Happy Valley" is trademarked for a number of other uses in combination with other words, according to the database, though not for apparel. The origin of Happy Valley as a nickname the Centre Region is not definitively known. Some stories have tied it to how the area emerged from the Great Depression faring better than many others. But in a Town & Gown article, Centre County historian Nadine Kofman wrote that the phrase first appeared in print in the early 1960s in a popular CDT column by Ross and Katey Lehman. The Lehmans, Kofman wrote, picked up the phrase from their friend Pat O'Brien, who regularly used the term to describe the area after he and his family moved here following World War II. The Lehmans would use the name periodically throughout the 1960s. 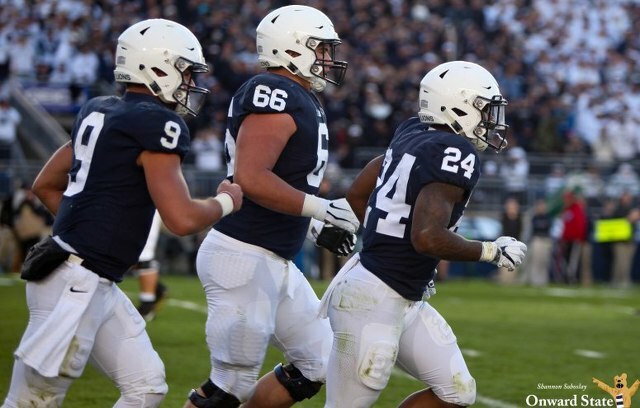 As the phrase began to be used more locally, it came into more common usage as the Penn State football team rose to national prominence and sports media began to use "Happy Valley" in their reports. One of Penn State football’s starting offensive guards, Connor McGovern, announced on Wednesday that he would be forgoing his senior season and declaring for the 2019 NFL draft. McGovern was awarded third team All Big Ten this season by both the coaches and the media.